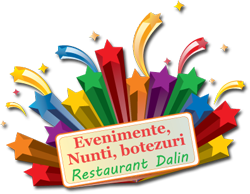 Hotel reservation in bucharest | hotel accommodation | dalin hotels in bucharest. Dalin Center Hotel was built in 2008 in the centre of Bucharest. It is situated on the main boulevard Stefan Cel Mare and within walkingdistance of the Calea Mosilor and Obor shopping area, close to Victoria Square, Romana and Universitate area. Dalin Hotel welcomes you with a warm and friendly atmosphere that will immediately convince you of our hospitality as well as the impeccable level of services that we offer. Situated within 900 meters distance from the capital's km0, 500 meters from the Chamber of Commerce and Industries, close to Unirii Square and the House of the People, this is a great base for business and leisure guests.